With the completion of the Columbia Project, Ginsburg embarked on an academic career, first at Rutgers University (1963-1972) (where she was paid less than her male colleagues), and then at Columbia (1972-1980), where she was the first tenured woman on the law faculty. Just before her move to Columbia, Ginsburg also became co-director of the ACLU’s Women’s Rights Project. In 1980, President Jimmy Carter appointed Ginsburg to the U.S. Court of Appeals for the District of Columbia. She served there for thirteen years, until her nomination and confirmation to the U.S. Supreme Court. 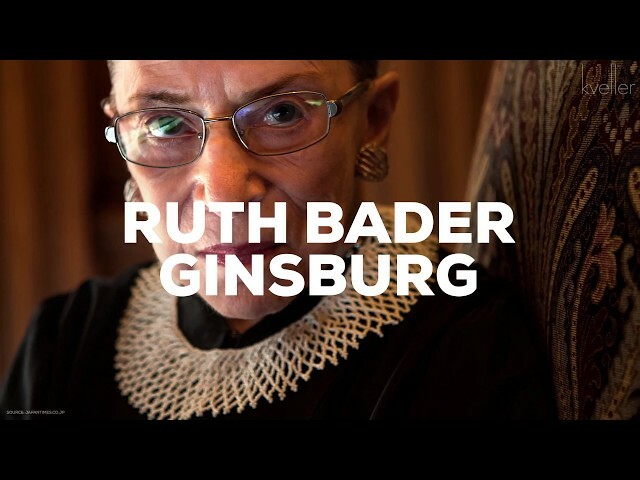 In nominating Ginsburg to the Supreme Court, President Clinton described her as “one of our nation’s best judges, progressive in outlook, wise in judgment, balanced and fair in her opinions.” He also said that “Ruth Bader Ginsburg cannot be called a liberal or a conservative. She has proved herself too thoughtful for such labels.” Ginsburg’s record as a centrist likely helped to ease her confirmation; the Senate Judiciary Committee unanimously endorsed her nomination, and the full Senate voted 96-3 in her favor. On the Court, Ginsburg’s work has been characterized by cool logic and reason, and a pragmatism that takes into account the real-life implications of Court decisions. In her written decisions she has continued to establish the constitutional basis for prohibiting discrimination based on gender. During the 2006–2007 session of the Court, Justice Ginsburg took the unusual step of reading two of her dissents orally. Observers have seen these forceful and passionate dissents as evidence of Ginsburg’s growing frustration with the decisions and reasoning of her more conservative colleagues. Justice Ginsburg took an active role in the 2004-2005 celebration of the 350th anniversary of Jewish life in North America, pointing proudly to Judaism’s eternal pursuit of justice, the promise of America, and the accomplishments of Jewish women who have preceded her. The resignation of Justice Sandra Day O’Connor in 2005 leaves Justice Ginsburg as the only woman on the Supreme Court. Reprinted with permission from This Week in History, a project of the Jewish Women’s Archive.